The questions below are among the most common we are asked about volunteering. If you have a question that isn’t covered, please email volunteering@citizensadvicewirral.org.uk for further information. What will happen when Citizens Advice Wirral contact me? There are slightly different recruitment procedures for adviser and non-adviser roles. You will be invited to either a group presentation or one-to-one interview and providing both you and we are happy that you are right for the role you want to volunteer in, you’ll start volunteering shortly afterwards. Usually this will start with a period of training. Will I have an interview and then what happens? The interview is a two-way process. It enables us to find out more about you, to ensure that you are suitable for the role, and also for you to ensure that the volunteering opportunity meets your expectations and interests. If you want to train as an adviser, there may be a slight delay before we are able to take on new trainees, to ensure you receive the highest quality of resources, time, support and personal attention. I’ve got specific skills and experience, can you use them? One of the strengths of the Citizens Advice Wirral service is the diverse range of backgrounds, skills and experiences our volunteers bring to their roles. We are developing new types of volunteering aimed at using the breadth of experience our volunteers have. It will depend on which role you’re interested in. All advisers receive comprehensive training, so don’t need any previous qualifications, skills or experience. However, you will need to be open-minded, non-judgemental, be able to listen, learn, and work in a team. In most of the other roles volunteers will usually need some form of prior experience. However, Citizens Advice Wirral is a learning environment and volunteering in any role will give you the chance to learn new skills and build on existing ones. What will I get out of volunteering with Citizens Advice Wirral? All our volunteers find their involvement with us rewarding, satisfying and challenging, and everyone gets something different from their volunteer work. All advisers receive comprehensive training, which is recognised and respected throughout the country. The training programme consists of classroom time, observation and working through self-study packs. You will be supported throughout your training by a supervisor. Most offices have several trainees at any one time, so you are likely to be training with other new volunteers. Yes. Citizens Advice Wirral is unable to deliver its general services without the support of volunteers. What support will I get as a Citizens Advice Wirral volunteer? All volunteers are fully supported and supervised throughout their involvement. There will be a paid member of staff that you can turn to for extra support if you feel you need it. There is an Advice Consultant and Advice Support Officer on duty at each advice session to guide and assist volunteer advisers. We make sure that you are not put in situations that are beyond your abilities, and will work with you to help ensure that you find volunteering with us both challenging and rewarding. 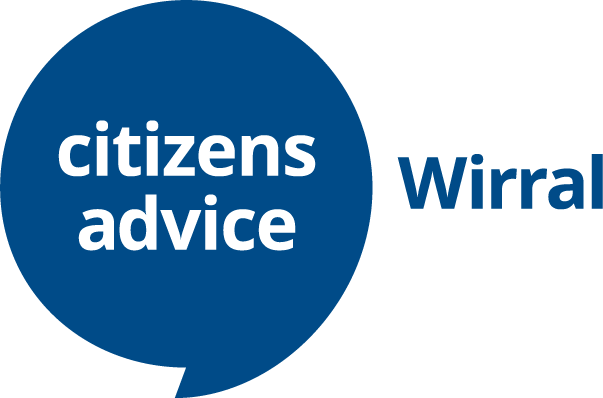 There is a minimum time requirement of two half days or one full day per week to volunteer as an adviser with Citizens Advice Wirral. Other roles are more flexible and you should discuss at your initial interview the time you have available, your interests, and skills, and how they fit with our needs. You can volunteer during our office opening times, which are 9:00am to 5:00pm Monday to Friday. Some roles enable volunteers to work from home and outside these hours, but these would typically involve general business specialists. For example, a professional graphic designer may commit time to help us by volunteering to produce publicity material from home. You’ll need to discuss these details at interview. Yes. Reasonable travel expenses are paid. After completing the Application Form we will contact you to talk through options and discuss the role you’re interested in and when you can start. If you want to train as an adviser, there may be a slight delay before the next training course starts. Many volunteers who leave us go on to paid employment. Citizens Advice Wirral volunteering provides invaluable skills and experience for employment and the experience is recognised by employers. Many of our paid managers, case workers, administrators and other paid staff started out as volunteers. What age restrictions are there on Citizens Advice Wirral volunteering? Citizens Advice Wirral volunteers need to be 16 or over. There is no upper age limit for volunteers. What volunteering opportunities are there for students with Citizens Advice Wirral? However, we are able to offer students studying social policy and law opportunities to complement their course and provide them with valuable work skills for the future. It is also possible to move to another Citizens Advice elsewhere after you leave college/university. Will volunteering for Citizens Advice Wirral affect my Jobseekers’ Allowance? If you are receiving certain state benefits you might have a responsibility to inform the relevant agency before you start volunteering. Will volunteering for Citizens Advice Wirral affect my other benefits? You should notify the relevant agency before starting your volunteering role at Citizens Advice Wirral, if you receive ESA, Severe Disablement Allowance, Industrial Injuries Disablement Benefit or Invalid Care Allowance (ICA).